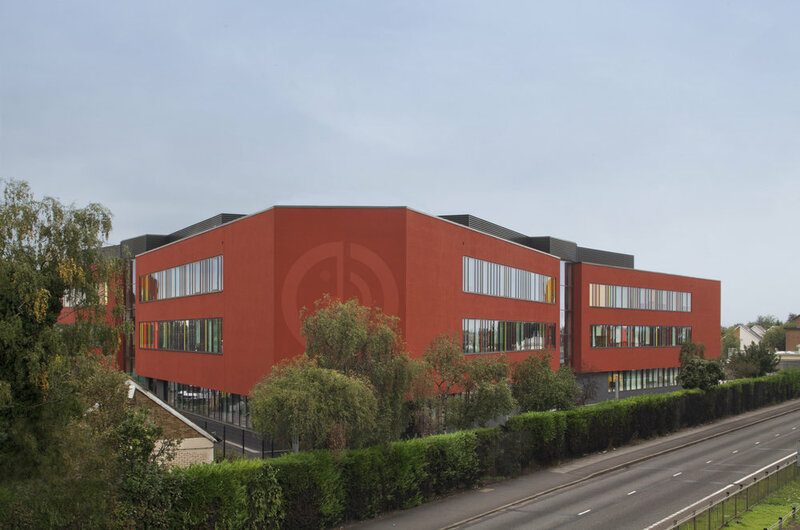 astudio's design for Twickenham Academy delivers the educational vision by providing innovative new learning facilities which have future flexibility and a strong civic presence. 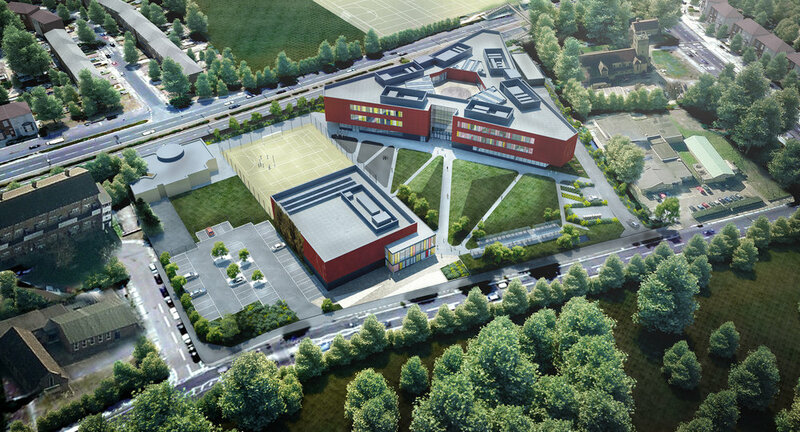 Twickenham Academy creates an entirely new campus on the old Whitton School site. The scheme challenges standard approaches to educational design and has delivered a ground breaking learning environment for both the sponsors, teachers and pupils. 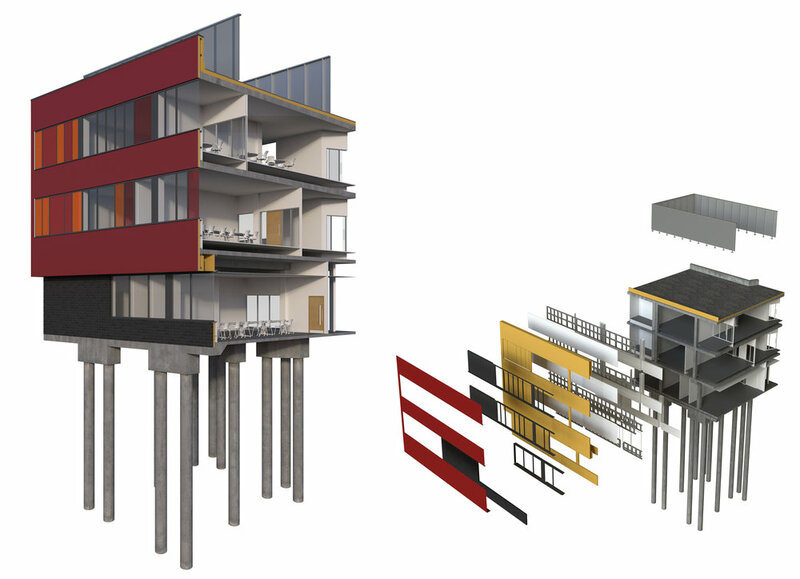 The Academy has been designed to accommodate three colleges enabling a more intimate learning environment within one building. The learning environments are designed around central halls. Spaces include a mix of open plan and enclosed seminar and group rooms. 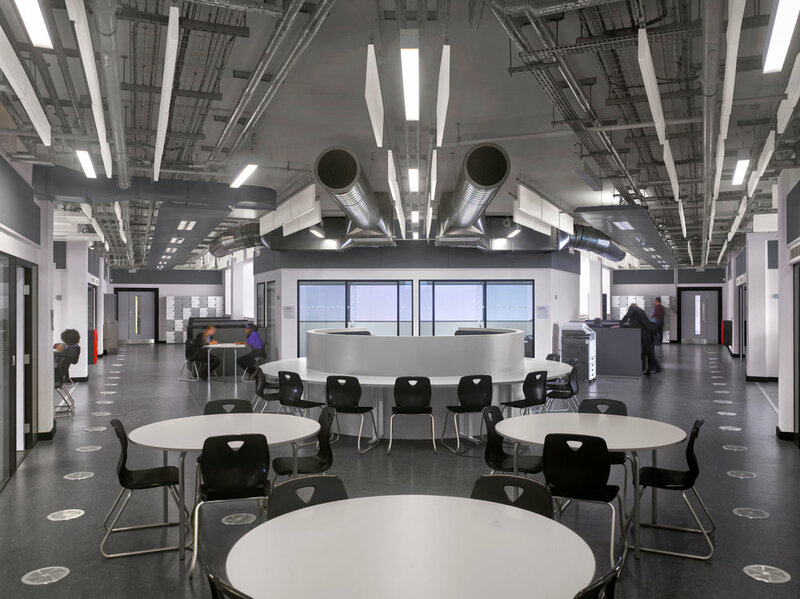 The result is a light, open and airy space where the pupils create a vibrant atmosphere to progress their studies. A new sports block connects to the community; reaching out to share it’s facilities including a gym, activity studio and climbing wall. It also houses the reception to the campus as the main entrance to the academy site and secure boundary.